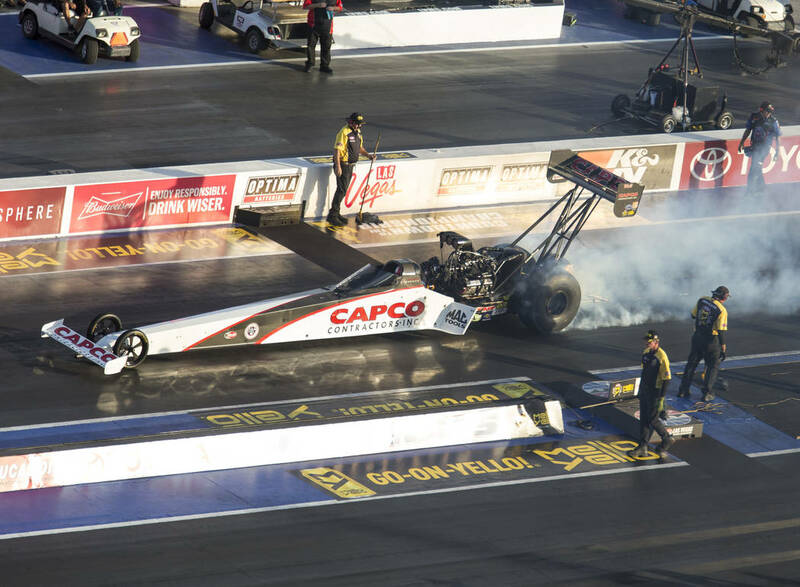 Steve Torrence finally bagged the trophy he had been stalking since breaking into professional drag racing, clinching his first NHRA Top Fuel championship during the NHRA Toyota Nationals. 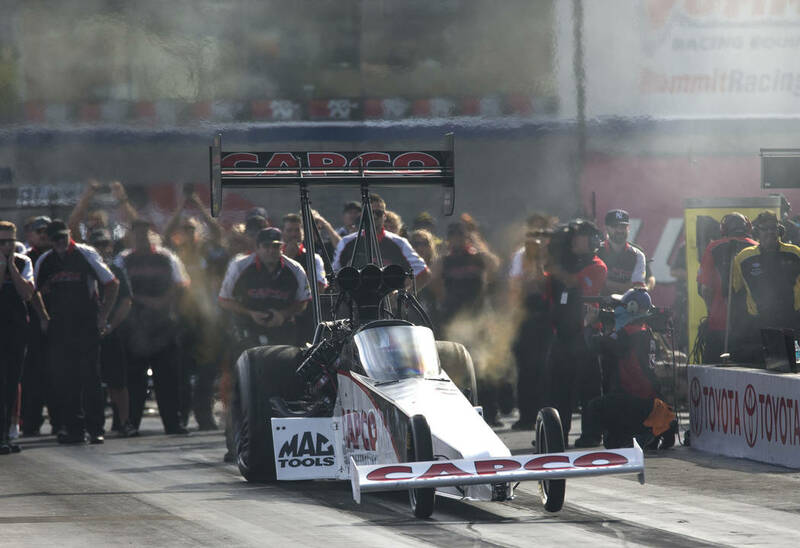 Steve Torrence is from deep in the heart of Texas. He does deep in the heart of Texas things. Such as hunt grizzly bears and moose. 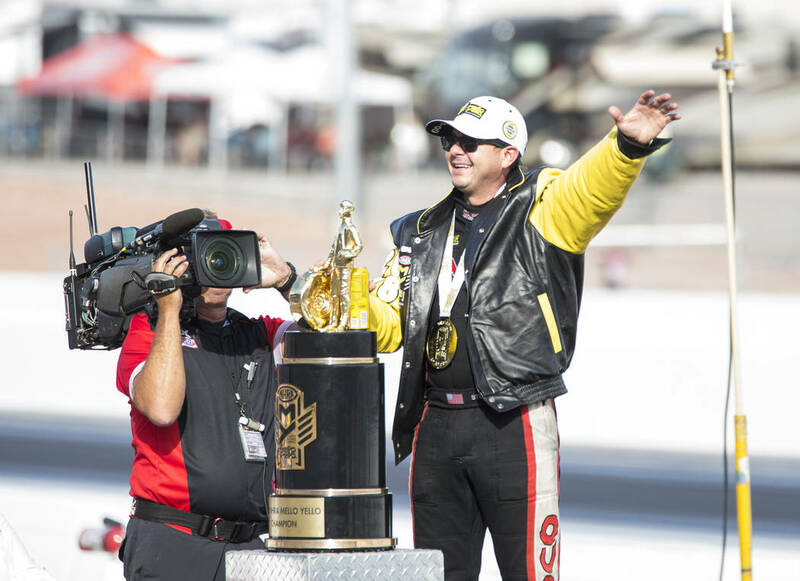 Torrence on Sunday finally bagged the trophy he has been stalking since breaking into professional drag racing 12 years ago, clinching his first Top Fuel championship at the NHRA Toyota Nationals at Las Vegas Motor Speedway by winning his fifth consecutive race. Torrence, 35, thought the title should have been his last year when he won eight races, only to falter in the Countdown to the Championship. He congratulated Brittany Force on winning the big trophy but also bitterly complained about the whimsical nature of the NHRA playoff system. The six-race Countdown was designed in large part to assure the championship battles wouldn’t be decided until the season finale at Pomona, California. 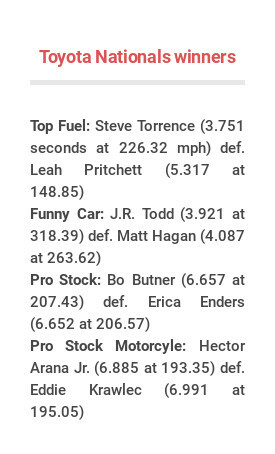 But Torrence was so dominant in the first five playoff races that he was able to lock down the championship by winning his semifinal on Sunday. 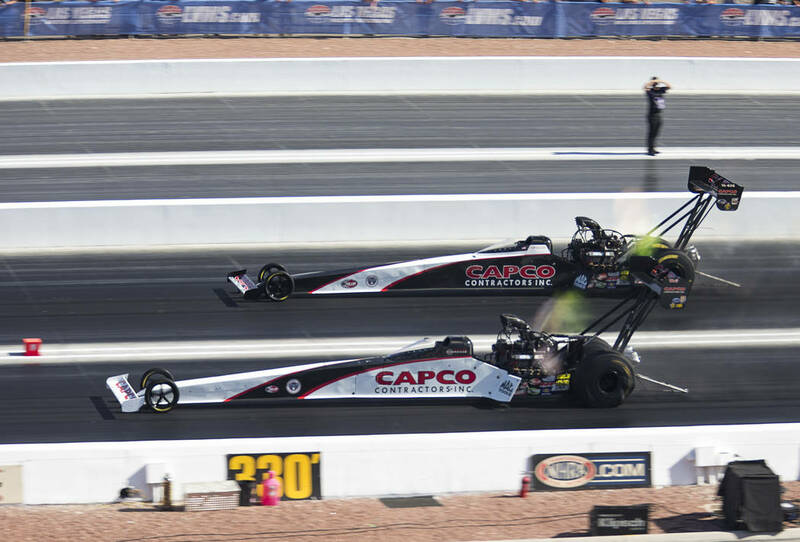 Not only did Torrence beat the best dragster drivers in the world as a family backed independent, he also beat cancer and a heart attack early in his career en route to the watershed accomplishment. “There you go with that Barbara Walters stuff,” he said before receiving the championship trophy, jacket, medal and $500,000 check. Torrence won three of the season’s first six races and has led the championship since the second one, at Phoenix. With 20 straight round wins in the Countdown, it has been one of the most dominating championship drives in history and left the diminutive Texan searching for words to describe it. 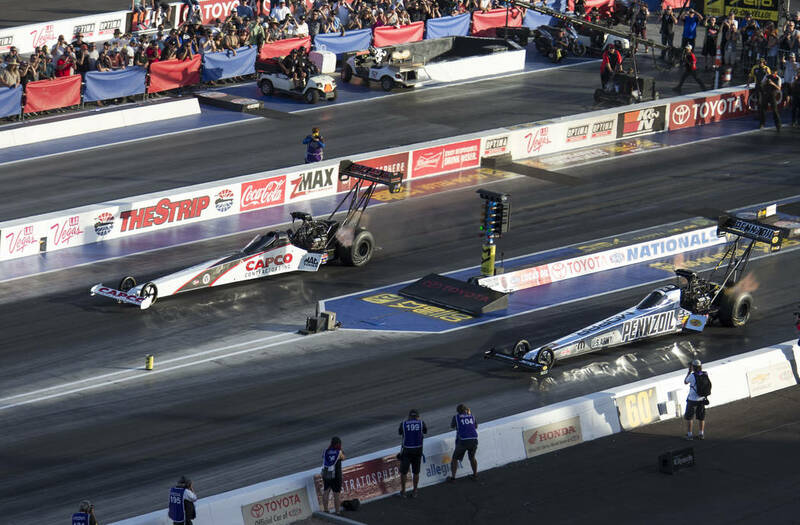 The battle for the Funny Car title became jumbled again as Robert Hight, the championship leader by 11 points coming into Las Vegas, lost in the first round of eliminations. 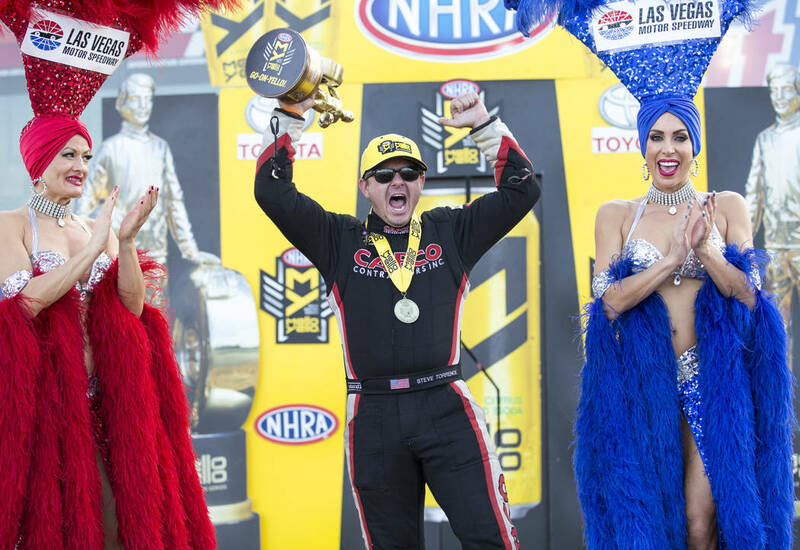 Pursuer J.R. Todd is now the pursuee after powering past Matt Hagan for his seventh career Funny Car win and fifth of the season, including a sweep of the two Las Vegas races. He’ll take a 74-point edge into the season final, which pays bonus points. 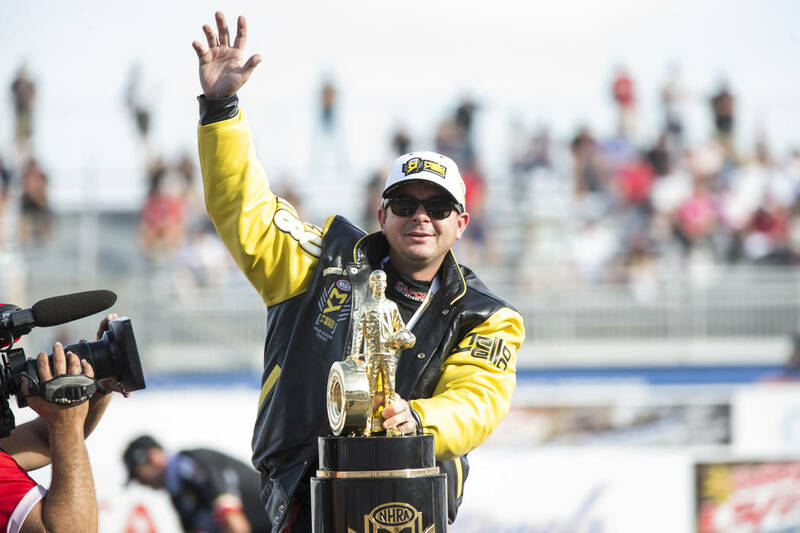 “Now we just have to go into Pomona and execute and seal the deal,” Todd said after the Funny Car points lead changed hands for the third time in the Countdown. 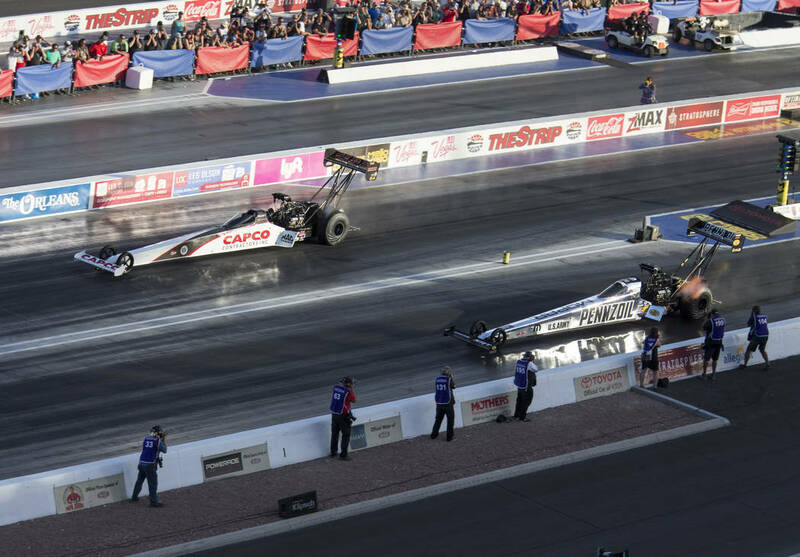 In the Pro Stock class, 19-year-old phenom Tanner Gray’s championship coronation was delayed when he lost in the semifinals to two-time champion Erica Enders. 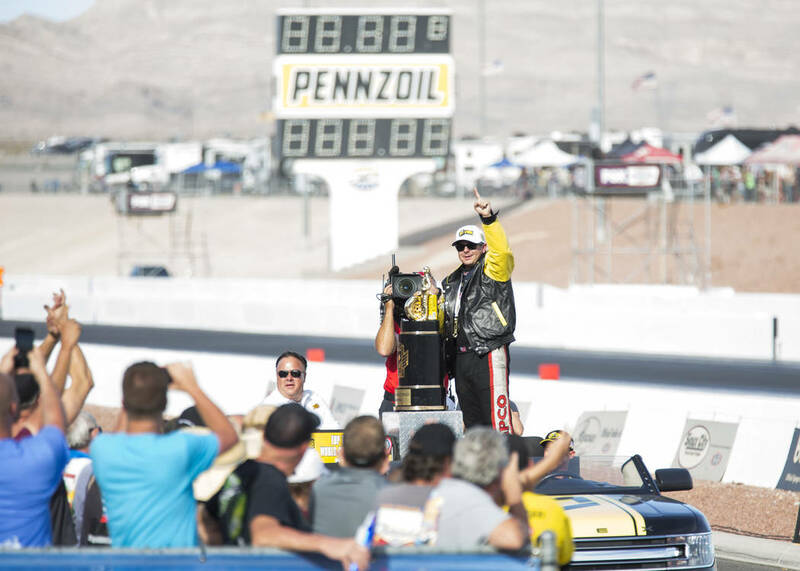 Bo Butner, the reigning champ who is retiring from fulltime competition at season’s end, edged Enders in the final for his seventh career win and fifth at LVMS.